Having seen both "The Dog Who Saved Christmas" and "The Dog Who Saved Christmas Vacation" on ABC Family, I was very surprised to see this sequel on the shelf in the store. I didn't know they were making another one! Since we'd enjoyed the previous ones, and my kids love Halloween, I brought it home to show the family to watch, with no idea what to expect. Needless to say, we enjoyed it. In fact, my kids said it was their favorite one in the series. I'd have to agree. In this one, George Bannister breaks his leg while exploring his creepy neighbor's yard and then spends the rest of the movie with his dog Zeus trying to figure out what's really going on. He finally hires the two robbers from the first two films to break in and prove to his family that he's not crazy. the kids really got a kick out of the action. Joey Lawrence replaces Mario Lopez this time and does an okay job. I really liked Mayim Bialik as the evil dog next door. I kept waiting for some "Blossom" references, but I didn't notice any. Unlike some family films, my husband and I could sit through it. 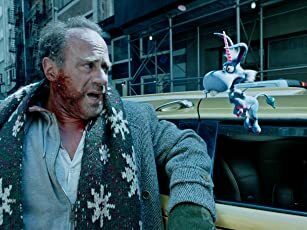 We enjoyed the "Rear Window" references and got a kick out of seeing Lance Henriksen in a kids movie. 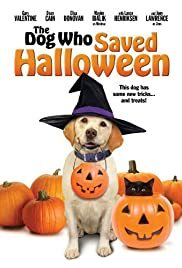 If your kids love dogs and Halloween, definitely check this one out.